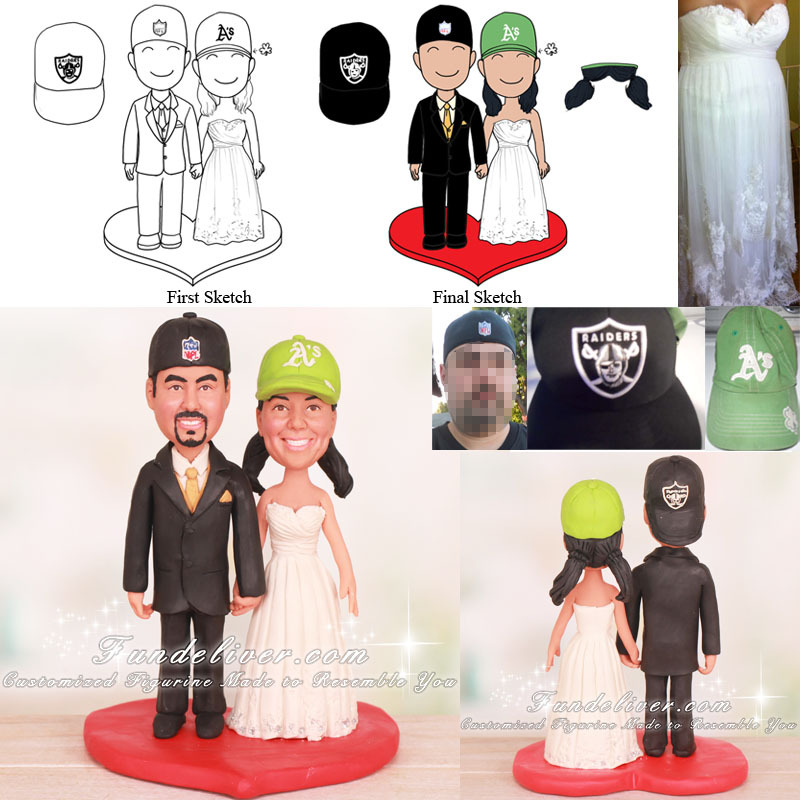 This is a completely customized Oakland Athletics and Oakland Raiders wedding cake topper ordered by one of our customers. They would like the couple to be holding hands, standing on a red heart base and the groom to be in a black tux, ivory shirt with gold vest, gold tie and gold pocket scarf, black shoes. 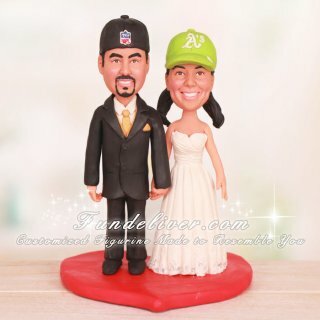 He is wearing a backwards Oakland Raiders cap with Raiders logo on. For the bride, they would like her to be in wedding dress with sparkles/glitter at the bottom and wearing A's cap with the shamrock and pig tails.